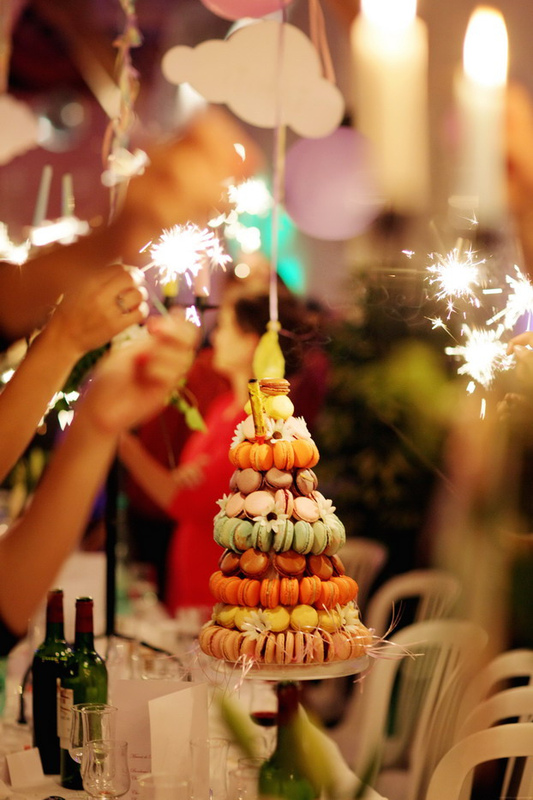 Nunca se me hubiera ocurrido ponerle velas de bengala a una torre de macarrones... Claro, esta FABULOSA idea viene de la original boda de The Cherry Blossom Girl... gracias a Tul y Flores por compartir su boda. 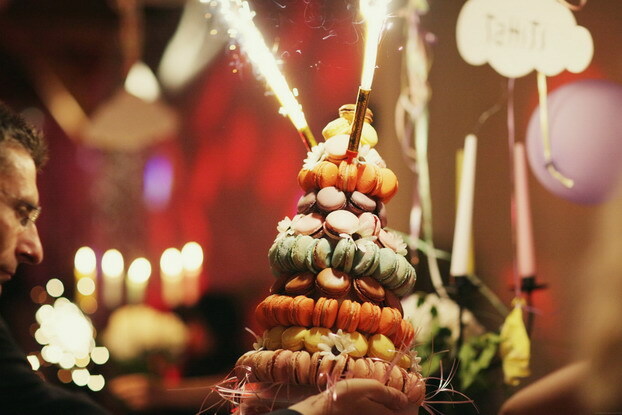 It would have never occurred to me to put sparkler candles on a macaroon tower... Of course this FABULOUS idea came from The Cherry Blossom Girl's very original wedding... Thank you to Tul y Flores for sharing her wedding. Que tarta tan original! En todos los años que llevo haciendo bodas nunca he visto una así!